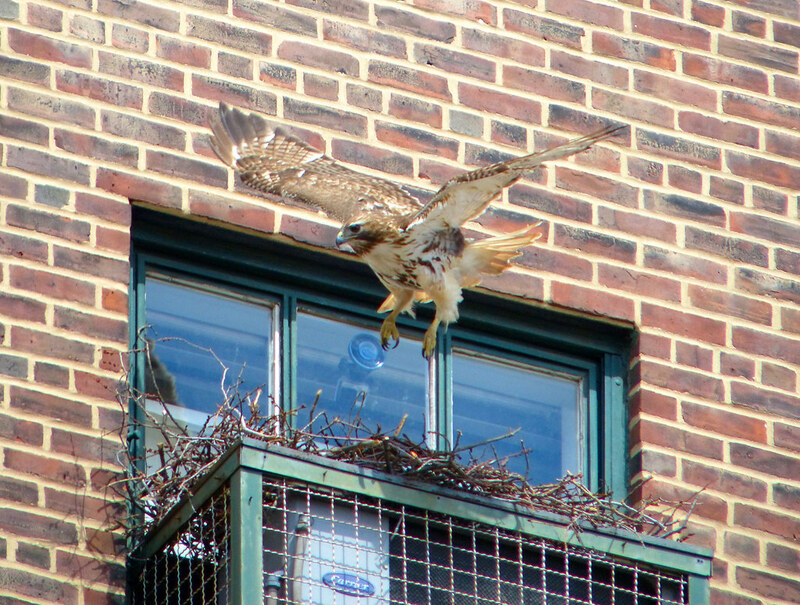 The Tompkins Square hawks have a second egg! Photo courtesy of Francois Portmann. 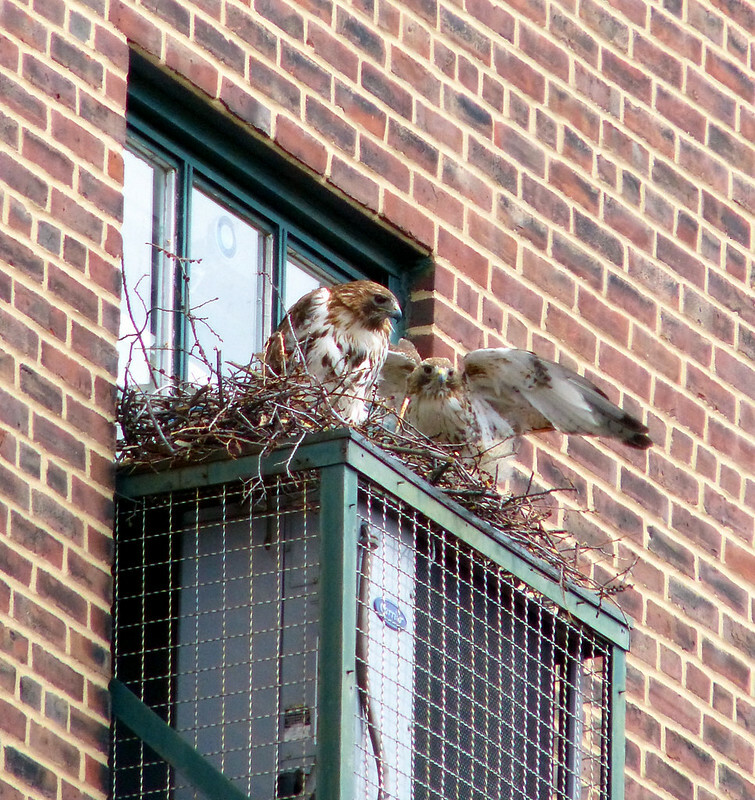 It was laid between 3 and 4pm on Wednesday, April 2. By now, there could be a third, but confirmation is still forthcoming. Until then, here are some highlights from today. 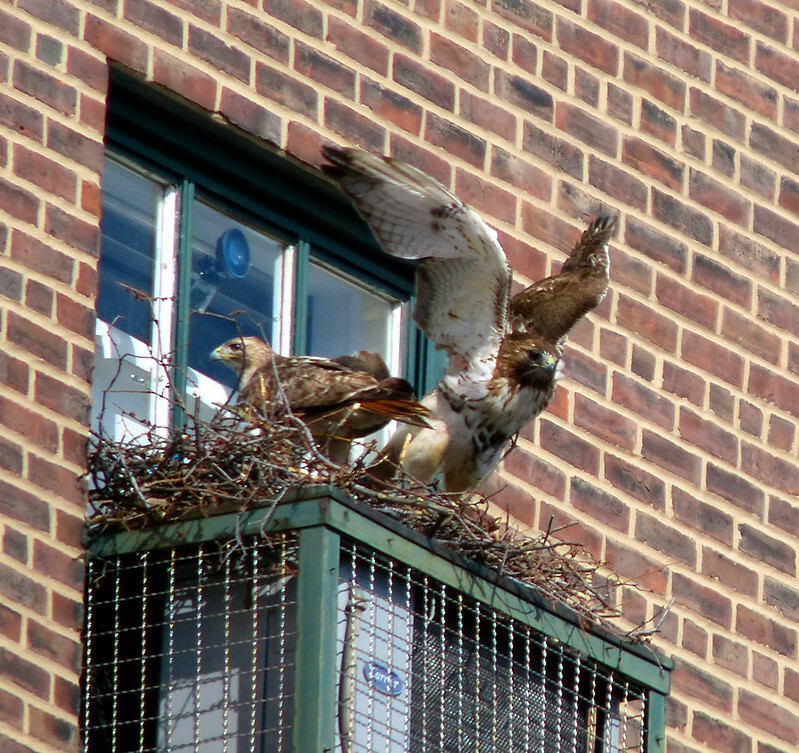 Dora takes off for a break while Christo guards the nest. 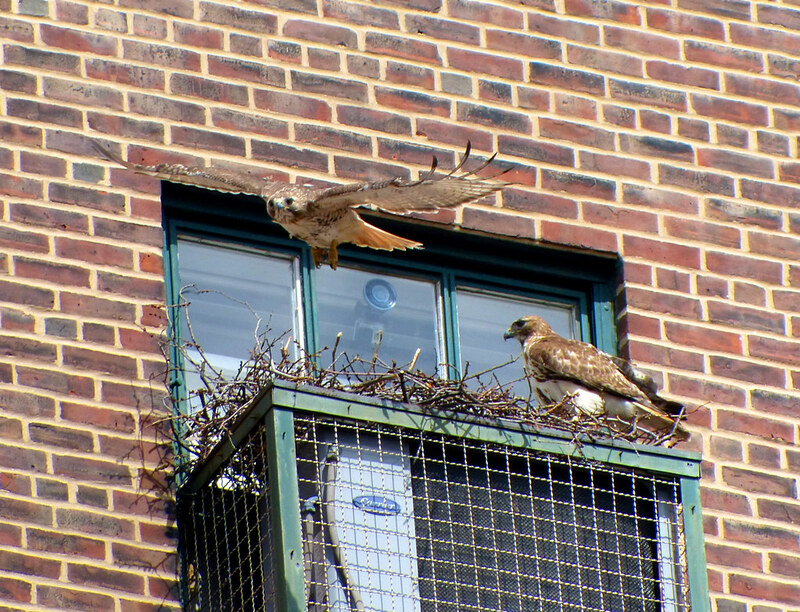 Thanks for these photos and helping keep us up to date with this pair; it is much appreciated. It would be great if the apartment owners started a LiveStream feed with that camera. 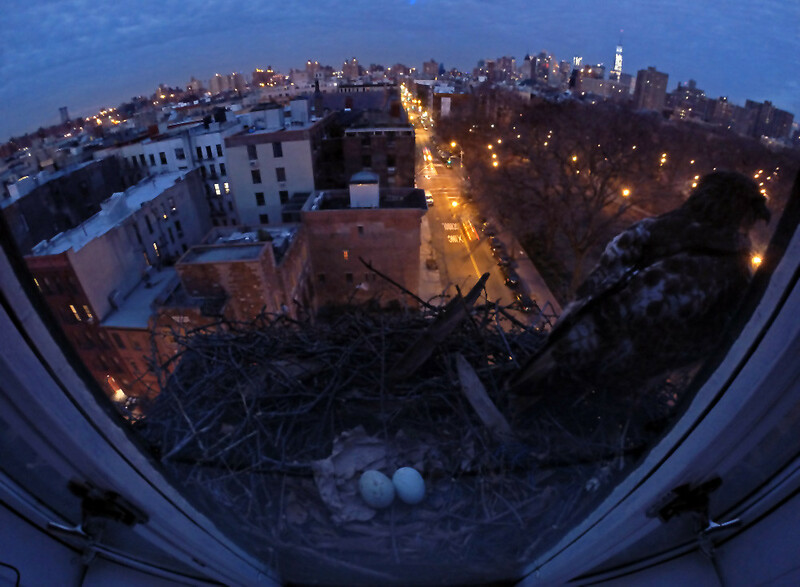 The view of the nest is fantastic.